Micro-analysis Workshop for Trainers, Practitioners and Supervisors on August 18th and 19th, 2014. This is an intensive hands-on introduction to doing microanalysis of communication followed by applications to specific areas: one’s own practice, training, and supervision. Communication is the basic tool of any professional dialogue, including psychotherapy, counseling, medicine and health care interactions, education, coaching, etc. Face-to-face dialogue happens in detail, and it is essential to understand and appreciate, as precisely as possible, how communication works in these settings. We assume that practitioners are already natural communicators. This workshop introduces a language and technique for identifying and articulating these natural skills, which will enhance one’s own practice, training, and supervision. Our roots are in the experimental lab and in Solution-focused Brief Therapy (which has a unique emphasis on the language of psychotherapy). The workshop combines an evidence-based approach with solution-focused teaching. Grounding: how conversational partners naturally collaborate, moment by moment, to establish common ground and co-construct their dialogue. Listening responses: how the variety of options (and even the most minimal responses) influence the ongoing dialogue. Formulations: how paraphrasing or reflecting are not neutral; they inevitably formulate a somewhat altered version of what was said. Questions: how questions carry implicit presuppositions, which contribute to the co-construction of the dialogue. The second day focuses on how therapists, trainers and supervisors might apply microanalysis to their own practice. Therefore, it is different depending on their goals, which could be to become a better practitioner, trainer, or supervisor. If you complete this workshop and are really keen to learn more you can register for our advanced workshop on August 21st and 22nd. 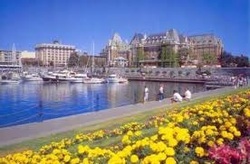 This summer we are holding a workshop at the University of Victoria in our beautiful hometown of Victoria B.C., Canada. Check out Tourism Victoria for more information about this beautiful city. Advanced Micro-analysis Workshop for Trainers, Practitioners and Supervisors on August 21st and 22nd, 2014.